It’s been a week of celebrations here at Camberwell with graduation and a busy MA Visual Arts Show opening. Many of the projects realised by students would not have been possible without the help of our talented and dedicated technicians. This week, Etching technician Brian Hodgson was commended for his hard work and skill when he was presented with a UAL Teaching Award from Camberwell’s students. We caught up with Brian to find out more about his practice, his role at Camberwell and his thoughts on winning this award. I am a Teaching and Learning Technician in the Printmaking Department, where specialise in Etching. I am also a practising artist with an ACME studio in Peckham. My practice is fairly wide, spanning and combining aspects of painting, sculpture, printmaking, actions, and drawing. I often utilise processes which explore my interest in the effect of time on the surfaces of the earth and manmade objects and structures. I am also interested in the effects of control and non-control of these processes. To me these surfaces carry metaphysical meaning. Why do you think it is important to maintain your own creative practice whilst teaching? Creating my own work helps me stay in touch with the issues, struggles, problems, and successes involved in artistic practice. This is something that students experience during their time studying at Camberwell, studying is often the most intense period of art practice many of us experience in our lives. You’ve been working on an exciting new etching process over the past few months; please could you tell us more about this. 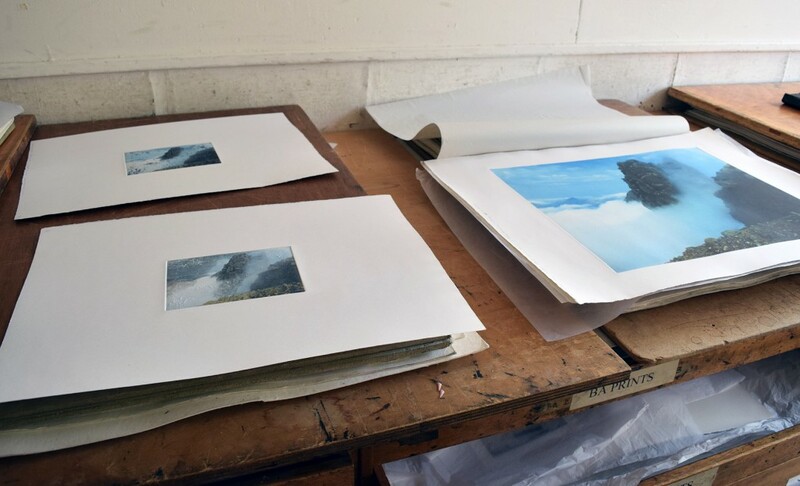 Using polymer plates, the process is a combination of an intaglio printmaking approach to a commercial printing substrate with the use of photographic and digital technology. Paul Haydock-Wilson from the Digital Resource Centre has also been working with me on this. 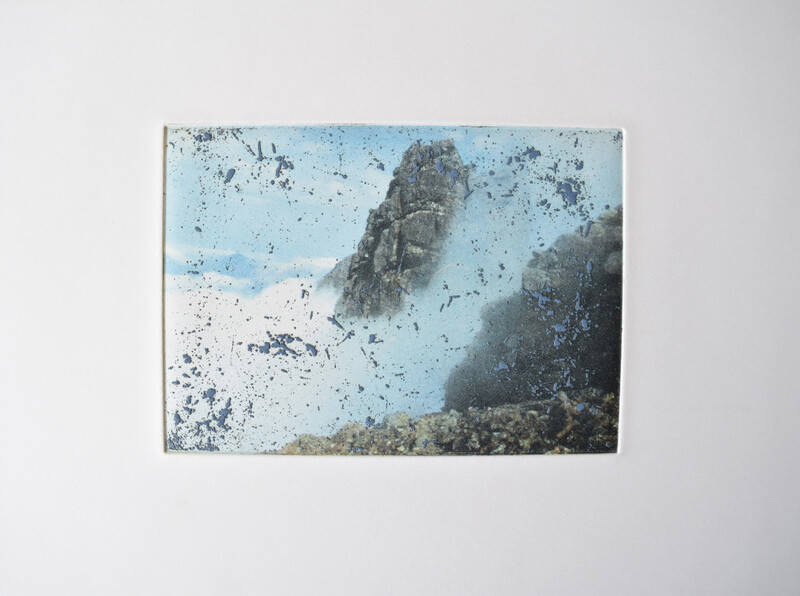 The result is a full-colour photographic image using the intaglio printing system. What interests me is that this can facilitate the use of other intaglio/etching methods which can be incorporated into the image. People have tried this before, but it is technically quite difficult – I have seen other examples of CMYK intaglio printing but not very many. It needs to be explored further but the aim is to eventually introduce this process to students as another method available to them in the etching studio. Congratulations on winning a Teaching Award from the students this year! How does it feel and how do you build such a good rapport with the students? It is an interesting and pleasant surprise! I really want to do a good job, and any student-led award has to be a good thing! To build a good rapport with students you have to remember what it was like to be a student yourself, it also helps if you have empathy for other people in general. What do you think it is that makes the Printmaking workshop here such vibrant and industrious place? Primarily, the students create the atmosphere in the workshop. You have to allow this to happen whilst managing equipment, access, and student safety. It is in its nature an industrious place – things get developed and realised in the workshops and students love places where this can happen. It is important to encourage this as much as possible. It helps that this is the best-designed and run workshop I know, and the Printmaking team is the best team I have ever worked with. What has been the highlight of your time at Camberwell? The highlight of my time at Camberwell was without a doubt my time as a student between 1985 and 1992. I left the college afterwards to work as an artist and printmaker but have since returned to take up my current position. For much of the time I was studying here I based myself in the Etching workshop. I remember exactly what was good about it and all the people who helped me. I try to make it as good for the students today as it was for me then. 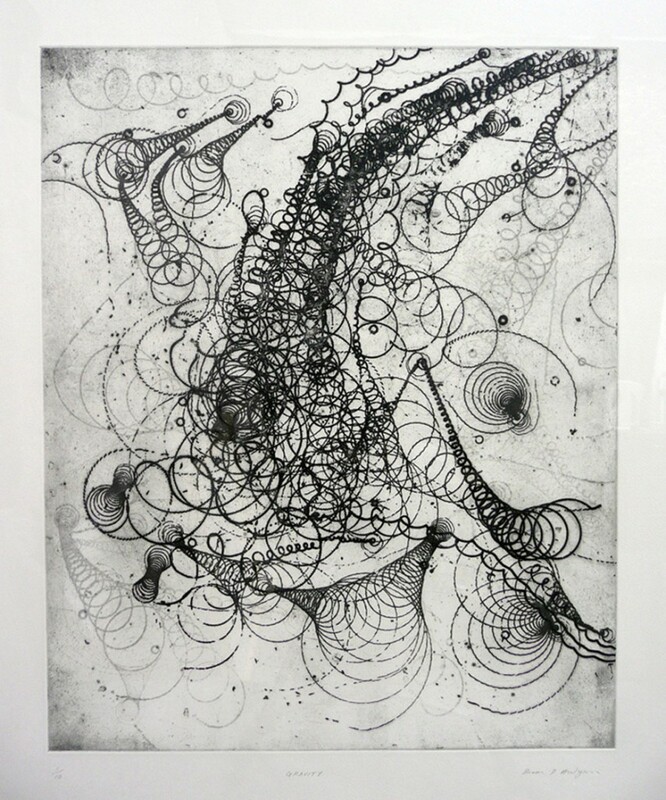 Are there any MA students that you have been working with whose use of printmaking is particularly interesting? I find interesting things about the work and practice of all the students in the workshop. The MA Printmaking and MA Illustration shows this year are full of students using printmaking in interesting ways. Their work is well worth seeing. And finally, have you got any exhibitions or projects in the pipeline? I once spent a year doing a drawing of a mountain I had never climbed, and then I travelled to it and made an ascent: it was like walking into my own drawing, a very strange and interesting feeling. This year, as part of my polymer research, I have been working on a photograph of the Bhasteir Tooth, which is one part of the Cuillin ridge on the Isle of Skye. Sadly I missed it out last year during a two-day traverse however tomorrow I am heading to Scotland to climb it! I am also showing two films on the actions of ‘Burning’ and ‘Trans(action)’ in the Impact Printmaking Conference in China in September.